At Skyview Day Club, individuals all along the memory loss spectrum—from early symptoms to those with more advanced dementia—enjoy exceptional daytime programming in a warm and welcoming community. Whether you love to go out exploring or prefer to stay in enjoying music and the arts, Skyview Day Club offers enjoyable and fulfilling activities for you to choose from. For family members caring for a loved one with memory loss, we offer respite, education, and support. 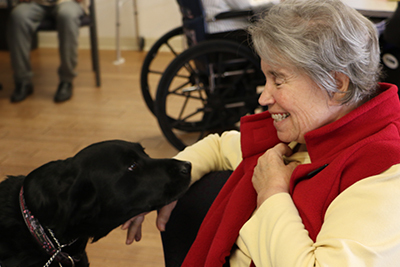 Skyview Day Club is located at 70 Skyview Terrace in San Rafael, the same location where Senior Access provided memory wellness to Marin families for 45 years. A healthy meal—low in sodium, fat and sugar—is served every day. Special diets are always accommodated. Everything (except transportation) is included in the affordable daily fee. 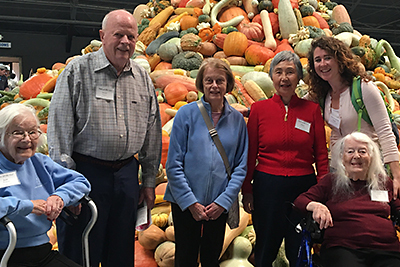 Explore destinations throughout the Bay Area in a friendly group setting, perfect for people with early-stage memory loss who love to go out, meet new people, and stay active! Escorted outings include museums, concerts, sporting events, historical sites, and much more. Lunch and transportation are included. For upcoming excursion dates, see our calendar. 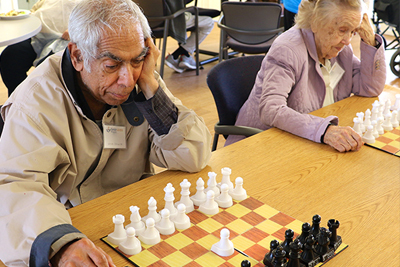 We offer brain fitness programs and activities to stimulate and challenge cognitive functioning, as well as free, confidential memory screenings to aid in the early detection of potential cognitive impairment. To get started or learn more, call us today or fill in the form below. Enroll today or request more information about Skyview Day Club.